May 13, 2018 May 9, 2018 SGC Admin "thoughts"
Saturn Retrograde.… Feelings of sadness and tiredness are abundant at the moment… the energy feels heavy, forcing us to “plod along” rather than glide along..
Saturn is the planet of restriction, he is authority and “parent like” in the way he expects us to do what is “proper”… Saturn is reminding us that in life, some things need to be attended to, even if one doesn’t feel like doing them… We need to be responsable right now, its not play time, it’s work time… work on oneself, work on on going projects, work at work, work on looking for work, work on the domestic and family fronts etc…. And as daunting as this may seem, it’s not really all bad if we can look at this time as a sort of “time out”, as if our Parent(s) are guiding us towards steadiness in our lives… Once we are aware of this, we can organize our time in such way, so that we can indeed bring some fun and sun into our daily chores and routines, all we need do is set aside the time that is needed to do some work on what needs working on now. As with any retrograde planet, the time is not for beginning new things, but rather it is a time when we may look at what we are accomplishing, where we are heading and how we are getting there… It’s a time to review our actions and thought patterns… and because Saturn is connected to our responsibilities, it is also a good time review our work and career directions… Are we doing the best we can? Are we happy in our work? Are we in the “right job”? Is our work going to bring us closer to our ultimate goals? Are we getting payed what we are worth?… All these thoughts may flit through our minds during this time, yet there is no rush to make changes or big decisions, because we have until the beginning of September before we have to take any action. Our relationships may also be reviewed during this time… and while Saturn isn’t as interested in relationships as Venus may be, he does understand the importance of them, he respects them and the traditions they may represent. If someone isn’t being as respectful as one may like, or if one finds they aren’t being as respectful as they should be towards another person, this may be a good time to review said relationship. December 16, 2016 SGC Admin "thoughts"
Many of us do not take the time to notice and acknowledge how beautiful we are as humans.Many of us do not take the time to notice and acknowledge how beautiful we are as humans. We may be great lovers of beauty, seeing it in the people, places, and things around us, while completely missing it in ourselves. Some of us feel that it is vain to consider our appearance too much, or we may find that when we look at ourselves, all we see are imperfections. Often we come to the mirror with expectations and preconceived notions about beauty that blind us from seeing ourselves clearly. As a result, we miss the beauty that is closest to us, the beauty we are. Sometimes we see our beauty in a shallow way, noticing how well we are conforming to social norms, but failing to see the deeper beauty that shines out from within and that will continue to shine regardless of how we measure up to society’s ideal. If we can cut through all these obstacles and simply appreciate how beautiful we are, we free up so much energy. We also become less dependent upon the opinions and feedback of others since we become our own greatest admirers. Many of us know that after a great yoga practice or a long, deep meditation, we are more able to see how beautiful we are. This is because we have released some of our baggage, thus unburdening ourselves and summoning forth the spirit that dwells within us. It is the heady combination of the divine spirit and the human body that conveys beauty more accurately than anything else.To keep ourselves in touch with our own beauty, we can surround ourselves with images that reflect our beauty back to us–photos of a relative or child who has our eyes, images of teachers who embody spirit, or self-portraits that capture our essence in a way that allows us to see ourselves anew. The best way to keep ourselves in touch with our own beauty is to keep looking deeply into our own souls and opening our eyes to the human being we see in the mirror every day. the energy stays contained within the group giving back to all. There are many reasons for why a gathering of people in a circle is powerful. A circle is a shape that is found repeatedly throughout the natural world, and it is a symbol of perfection. We recreate this perfect shape when we join others to form a circle. Being in a circle allows us experience each other as equals. Each person is the same distance apart from the next participant, and no one is seated higher than or stands apart from others in a circle. From tribal circles to the mythical round table of King Arthur, the circle has been the shape adopted by gatherings throughout history.The circle is acknowledged as an archetype of wholeness and integration, with the center of a circle universally understood to symbolize Spirit – the Source. 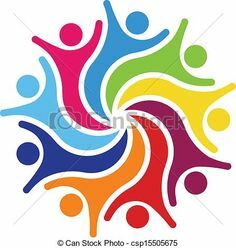 When a group of people come together in a circle, they are united. This unity becomes even more powerful when each person reaches out to touch a neighbor and clasps hands. This physical connection unites thought and action, mind and body, and spirit and form in a circle. Because a circle has no beginning and no end, the agreement to connect in a circle allows energy to circulate from one person to the next, rather than being dissipated into the environment. Like a candle used to light another candle, the connection with spirit that results when one person joins hands with another is greater than if each person were to stand alone. People who take part in a circle find that their power increases exponentially while with the group. Like a drop of water rippling on the surface of a pond, the waves of energy produced in a circle radiate outward in circular motion. While one person may act like a single beacon that emanates light, a circle of people is like a satellite dish that sends out energy. There is power in numbers, and when the commitment is made by many to face one another, clasp hands, and focus on one intention, their circle emanates ripples of energy that can change the world. April 14, 2016 April 13, 2016 SGC Admin "thoughts"
Visiting a sacred site can be a useful tool to open something within you that has remained inaccessible. From time immemorial, the hands of men and women have built sites guided by both the earth’s life force and benevolent beings of light. It is because of this guidance that the sites we deem sacred have long served as repositories of wisdom, energy, and illumination that can be accessed by all. The needs that inspire seekers to converge upon sites known to be sacred vary by individual. Some crave spiritual fulfillment above all else, while others hope to draw upon a site’s energy for the purpose of enlightenment, healing, or deep meditation, awareness and knowledge of information long gone. Sacred sites can appear insignificant to those who close themselves off from the notion of a living earth. But sites can provide us with a link to a unified consciousness that involves the living and the dead, infinite cultures, the physical plane, and the spiritual world. 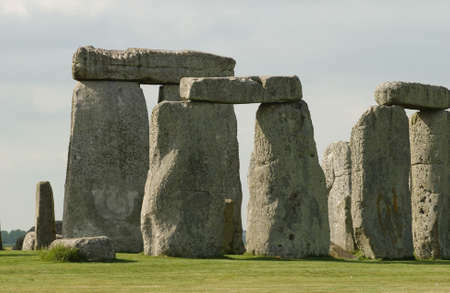 When we look beyond well-known sites like Stonehenge, we discover energetically active sites such as the Iron Age fogou caves of Cornwall, England, or the pyramids of Meroe in the Sudan. Similarly, it is easy to imagine that hallowed places exist only in remote or exotic locales. Yet many of the most richly vital sites are easily accessible, and visiting these lesser-known sites can be a profoundly moving experience. One such site, Serpent Mound in Ohio, was thought to be created by the ancient Adena peoples nearly 1,000 years ago to align with the summer and winter solstices. Its precise purpose remains unclear, but many who visit the site conclude that it was meant to be a conduit through which cosmic en! ergy could flow into the earth. The sacred sites that call to you from afar—capturing your imagination and resonating deep within your soul—will nearly always be those that can help you forge a deeper connection with the divine energy that sustains all life. During your pilgrimage, reaffirm your intention to accept whatever gifts are conveyed to you through the sites you visit. Your receptiveness will help you establish lasting relationships with these sites so that you can draw upon their peace and their power from wherever you are. I hope you enjoyed part 1 and 2 of this 3-part series about ‘how to clear karma’ and found it insightful and useful. TELL ME- which of the 6 karma clearing tips resonated with you the most? EMAIL me! Karma is like a scale which we carry with us for a lifetime or many lifetimes. The scale can be as light as a feather or as heavy as a brick wall. The weight of the scale is affected by the quality of your thoughts and actions and this in turn creates karmic patterns in your life. The saying: what goes around comes around, applies to karma. Do you consider your life to be easy or simple? Are you living in the flow? Or do you see your life full of challenges, stagnation or disappointments? If the later description resonates with you, then I want you to remember this: you are influencing the karmic patterns in your life- both favorable and unfavorable patterns. The good news: karma is not fixed or frozen – it’s mutable. Why? Because energy is mutable and the energy of your thoughts and actions can be changed – by you! Some people build us up, while some people tear us down. I want you to take a good look at the people in your life, at home, at work, your social circles. Which category do they fall into? Make a list of positive people you know from work, relatives, schoolmates and people from religious, recreational and other social organizations. Try to spend time with them. Whether it’s a phone call, attending an event together or just hanging out, you will find positive people are confident and supportive and have an optimistic outlook on life. Their positive vibrations will be pleasantly infectious. When you surround yourself with people who have positive energy and are happy and well balanced, you too are more likely to be happy and well balanced. Take time to reflect on the traits and characteristics that these positive people in your life possess. Reflect on how they respond to life’s ups and downs. Learn from their experiences and wisdom to assist you in handling situations that arise in your own life. When you make subtle changes in your own expectations/attitude to perceive the world in a more positive manner, you alter your vibrational frequency so that you become more attuned to receive positive and higher vibrations, and subsequently, you draw more positive and harmonious experiences into your life. This is the essence of the third vibrational law: Changes in mental attitude and thoughts can affect the vibrational frequency of yourself, others you interact with and your experiences. If you are able to walk away, say a simple farewell then its time to do that. If its not that simple then find a way to honestly tell them how you feel, or in what ways you can work together to make the relationship healthier, better or more satisfying. In my opinion, if a relationship is toxic and causing more harm than good- then its time to leave. Remember when I explained in part #1 ‘ how karma affects us”: the quality of your relationships also affects the quality of your karma. Choose the company you keep wisely and consciously. What activities do you do or daily rituals do you practice to nourish your Spirit or feed your Soul? And always remember this: you have the power to influence and create good karma through your conscious actions and conscious thoughts. Costa Rica Retreat- Join Us! Join us for a mind-ful, heart opening experience as we explore the five senses through nature and sound on the beautiful serene pacific coast of Costa Rica. Enjoy the natural beauty of Dominical Costa Rica, at Manu Retreat centre – perched on the mountains overlooking the Pacific Ocean, with 30 acres of lush tropical rain forest. The surrounding landscape is peaceful and breathtaking, inspiring you to awaken your senses. Dip into one of two infinity pools, walk through the tropical gardens, lounge and relax in the luxury of your Bali-style villa or bedroom, catch a glimpse of the colorful toucans, savor the delicious meals made with love, enjoy spectacular sunsets every night as you converse with friends, old and new; take in the harmonic and uplifting sounds of crystal and Tibetan singing bowls as you wind down each evening and indulge yourself in the elements of nature. Pause, breathe and enjoy personal time. ‘Awaken Your Senses’ Day trips – this retreat is inclusive of meals, accommodation, activities and day trips.